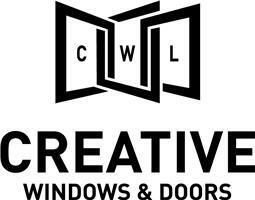 Creative Windows and Doors Ltd - Windows/Doors/Conservatories based in Banstead, Surrey. We are a family-run business with over 25 years of experience, we strive in becoming one of the leading local manufacturers and installers of quality Aluminium, Timber and uPVC windows and doors. We have built our company on reputation, trust, expertise and quality. We pride our company on offering high standard’s to all our customers in Surrey and throughout the area. Why choose Creative Windows and doors Ltd? Here at Creative Windows and Doors Ltd, we ensure that the high quality windows we represent offer the utmost security, sound proofing and efficiency, as well as durability. We offer a variety of options when it comes to your windows and we help customers choose the windows perfect for their home through a simple filtering process of listening to your ideas combined with our experience which will enable us to provide a free, no obligation quote. The vast variety of windows we represent differ by frame material, such as uPVC, white, coloured or timber effect, or wooden and Aluminium frames. We also ensure that our in-house installation teams are technically sound, trained and qualified to fit windows in a variety of styles which includes tilt and turn, sash, bay, and standard casement, with single, double or triple glazing. Finally, all of our products are designed and custom-made to your exact specification and covered by our accreditor’s, giving you year-on-year peace of mind.